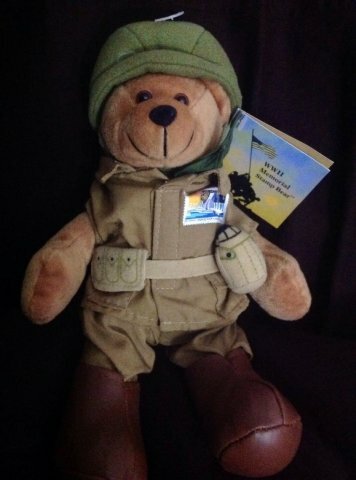 The soldier bear is dressed in an Army combat uniform and is a USPS collectible item. A copy of the National World War II Memorial stamp is emblazoned on his left breast -- right over his little teddy bear heart. He stands 9 inches tall and is a great tribute to the men in your family who served. The aviator bear is dressed in an aviator jacket and hat with goggles, just like pilots during WWII. He won't be flying by the seat of his pants because he doesn't have any! But bears aren't concerned about things like modesty. 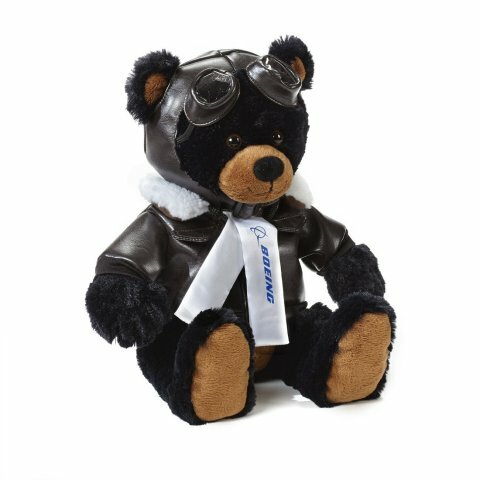 This collectible plush toy comes straight from Boeing.